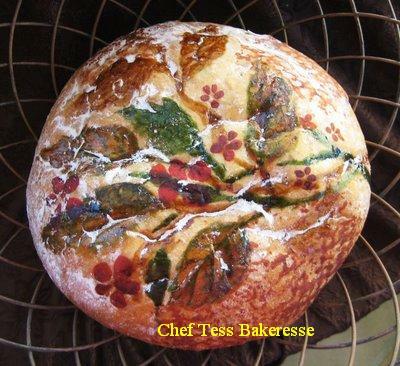 Painted bread tutorial. I will DEFINITELY be making this. Stay tuned! Oh, that's just wonderful! Maybe you'll have time to make it over the holidays! Wow, that's a beautiful loaf!